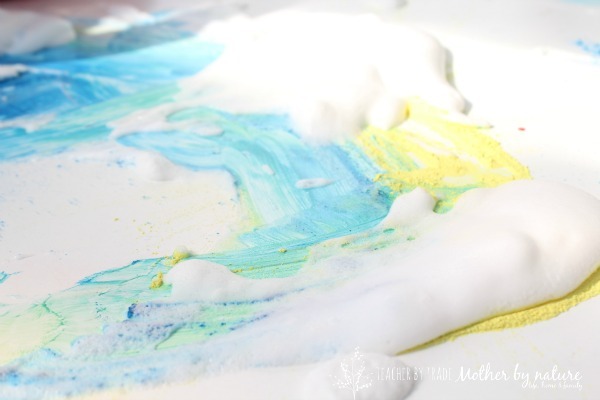 Soap Flake Foam* is a super easy, sensory activity your toddler will love, especially if they are a fan of messy play. 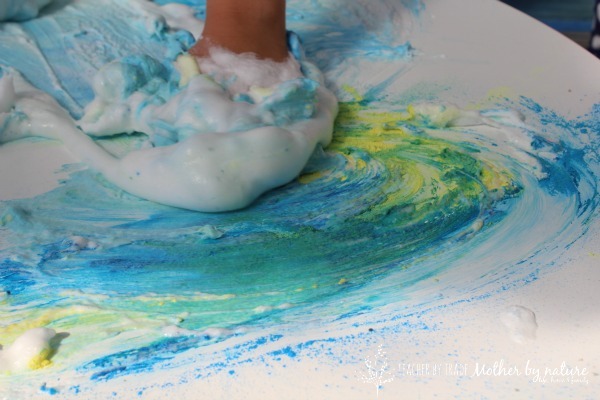 Messy play gives children the opportunity to experience a wide range of sensory experiences. 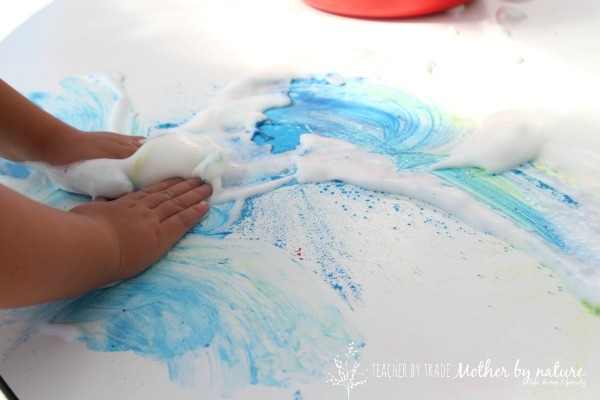 Activities like Soapy Sand and Finger paint help children learn about different textures and materials and now we can add Soap Flake Foam* to the list. This recipe is from "Recipes for Messy Play". Put 1-2 cups of soap flakes into a bowl and add hot water until the soap flakes are completely covered and the water is just above their level in the bowl. 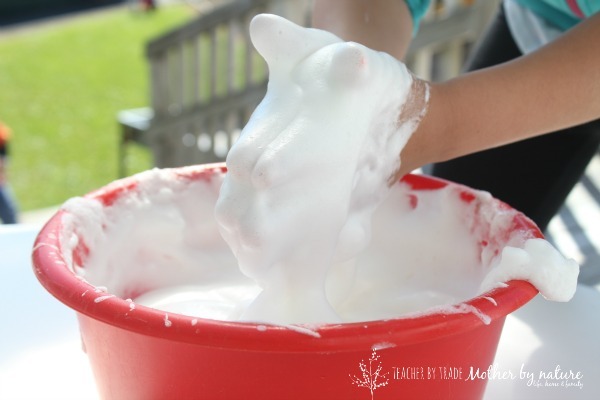 Beat the mixture until the soap flakes dissolve and the mixture has the consistency of canned shaving foam. 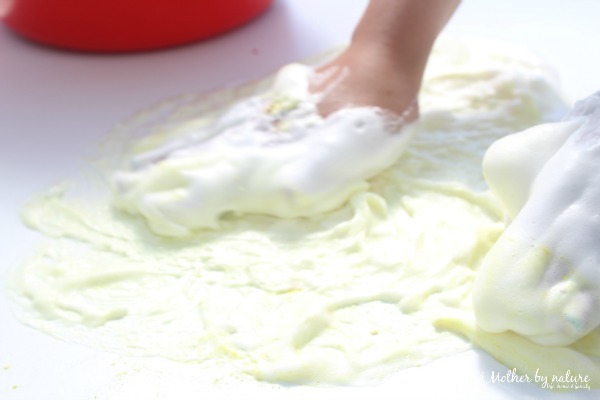 The foam is cloud-like, soft and squishy to touch and is a great sensory activity on its own. If you are wanting to brighten it up for your toddler, you can add a bit of tempera paint or powder paint (see this home-made powder paint recipe) and encourage them to mix the two together - this is where the fun really begins. Soap Flake Foam* is a very soothing activity. Your toddler gets to experiment with and explore the properties of this amazingly soft solution. They will learn about colour mixing, texture, and design. Your toddler is also developing hand-eye coordination. We (adults) can support our children by role modeling and showing them it’s okay to get messy. We can use descriptive words such as soft, slimy, squishy and encouraging them to tell stories about what they are feeling/doing. 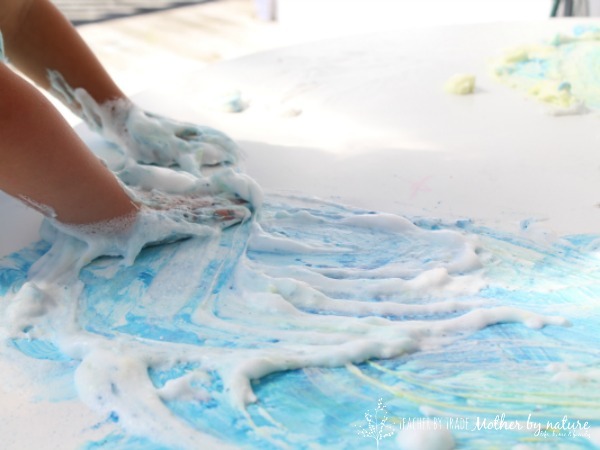 The great thing about this Soap Flake Foam and messy play, in general, is you don't need a lot of extra equipment. Encourage your toddler to experiment by using their hands and fingers, feet and bodies. You can introduce other materials later on, like brushes, cardboard, sticks, leaves etc. This is such a fun activity, even my 10 year old daughter enjoyed playing with it. Supervision is a MUST with any type of play, especially messy. Safety consideration: the soap flakes may irritate if it gets into the eyes, so remember to have some fresh warm water and towels on hand. 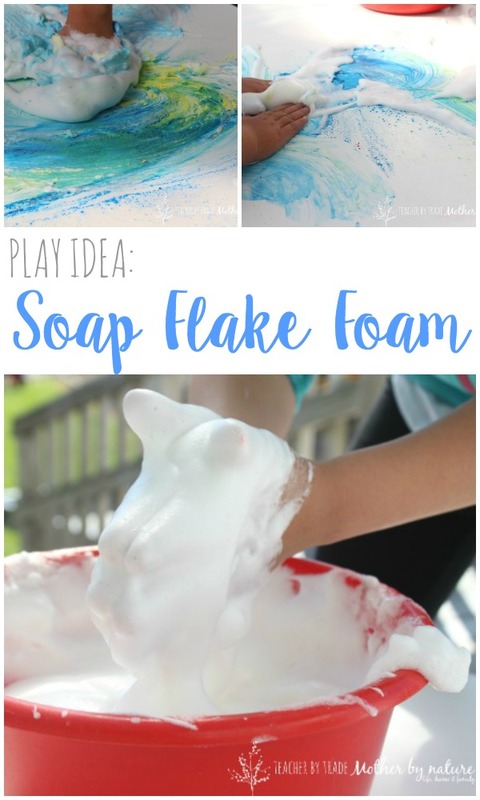 Are you ready to get messy with Soap Flake Foam? Thanks Tina - the kids thought it was pretty cool! This looks like so much fun! I want to play! Thanks for sharing at Made for Kids! You will be featured this week!